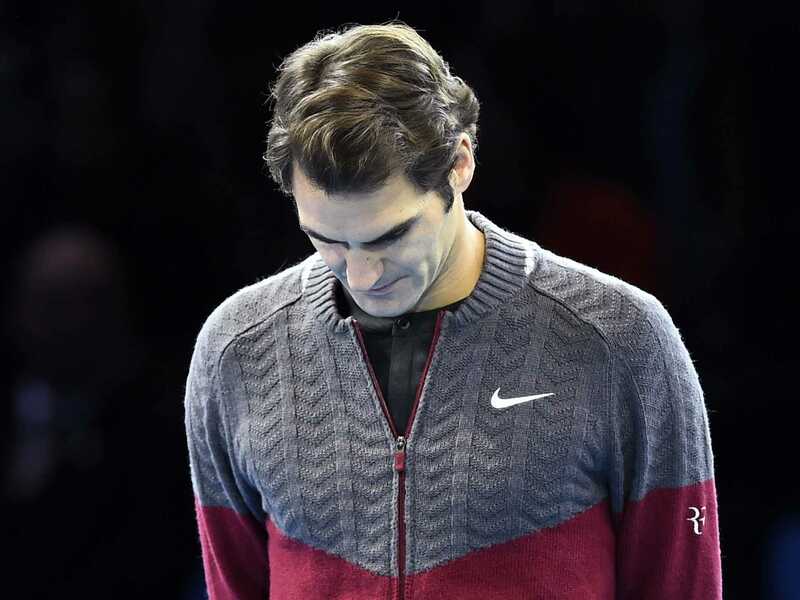 REUTERS/Dylan MartinezRoger Federer of Switzerland waits to announce that he is injured and unfit to play Novak Djokovic of Serbia in the men’s singles final tennis match at the ATP World Tour Finals at the O2 in London, November 16, 2014. Good morning! Here are the major news stories. Japan Is In Recession. Unexpectedly poor GDP data confirmed Japan has been in recession, with a 1.6% rate of contraction in Q3 when a 2.2% rate of growth was expected. This followed a 7.3% rate of decline in Q2. Forget About That Japanese Consumer Tax Hike. Japan was expected to hike tax rates for the second time this year. Given that the first tax hike has been blamed for this year’s economic woes, that second hike is likely to be delayed. “This environment makes it increasingly tough to call for an increase in the consumption tax, making it virtually certain that they will put off the tax hike and hold a snap election,” RBS Securities’ Junk Nishioka said. Japan Gets Slammed. The unexpected shrinkage of the Japanese economy sent Japan’s major stock index, the Nikkei, tumbling 2.9%. The yen tumbled to a 117.05 per dollar, the lowest level since October 2007. Markets are down everywhere. Dow futures are down 43 points and S&P 500 futures are down 6 points. In Europe, Britain’s FTSE 100, France’s CAC 40, and Germany’s DAX are all down by less than 0.5%. US Industrial Production Data. At 9:15 a.m. ET, we’ll get tht October industrial production report. Economists estimate production climbed by just 0.2% in October while the capacity utilization rate was unchanged at 79.3%. “Weaker global growth, a stronger dollar and falling oil prices act as headwinds to industrial production, but gains likely persisted into October,” Wells Fargo’s John Silvia said. Energy Industry Mega-Merger. Halliburton will buy Baker Hughes for $US34.6 billion, or $US78.62 per share. “The transaction will combine the companies’ product and service capabilities to deliver an unsurpassed depth and breadth of solutions to our customers, creating a Houston-based global oilfield services champion, manufacturing and exporting technologies, and creating jobs and serving customers around the globe,” Halliburton CEO Dave Lesar said. A 24-Year Old Streak In The Korean Auto Market Has Ended. South Korea is on track to spend more on vehicle imports from Europe this year than it earns from exports the other way, for the first time in 24 years, as German brands breach the once impregnable fortress of Hyundai Motor and its local rivals. The Landmark Shanghai-Hong Kong Stock Link Just Opened. The link is expected to drive billions of dollars of trading every day. Facebook Is Working On A Professional Development Website. Facebook is secretly working on a new website called “Facebook at Work” that would allow users to keep their personal profile separate from their work profile, the Financial Times reported.